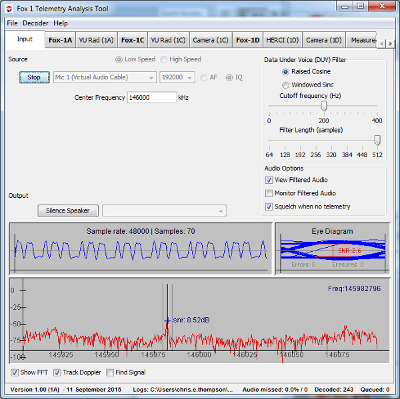 ​I am pleased to announce a new version of FoxTelem, Version 1.05. This will make you ready for the RadFxSat launch in 2 weeks time, at 01:47 PST (09:47UTC) on November 10, 2017. You will also take advantage of over 60 fixed defects and changes applied to the code base. 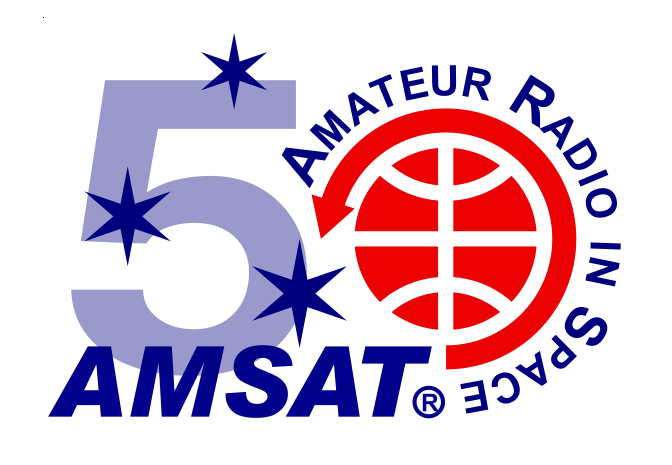 Accurately decode the data, display the results of the experiments and forward it to the AMSAT server for analysis by the experiment owners and other amateur scientists like yourself. This version will also be able to download the RadFxSat data from the server. week and stored in EPOCH order. This will be used to plot historical graphs in the future. See the manual for more details. You can set FoxTelem to only decode when the satellite is up. This is designed to save CPU power when many copies of FoxTelem are run at the same time. log files. Previously you needed to create a batch file and run a special command. That will still work, but this should be easier. See the manual for details. You can email me with any bug reports or issues that you see. This is a quick note to say that FoxTelem Version 1.04 is being released. There is a lot in this version so I have written some blog posts to summarize new features. See below. 1. Full support for Fox-1Cliff, Fox-1D and RadFXSat including better High Speed decoding and a better find signal algorithm. see that this format is much faster.